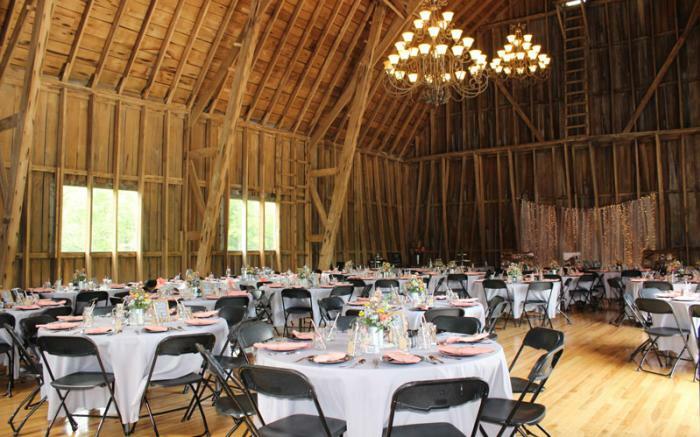 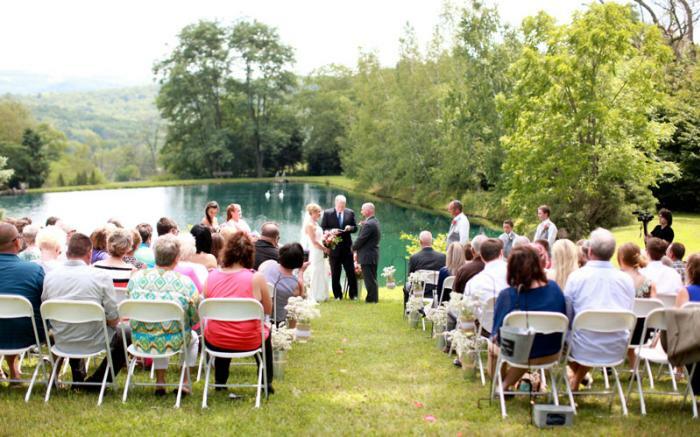 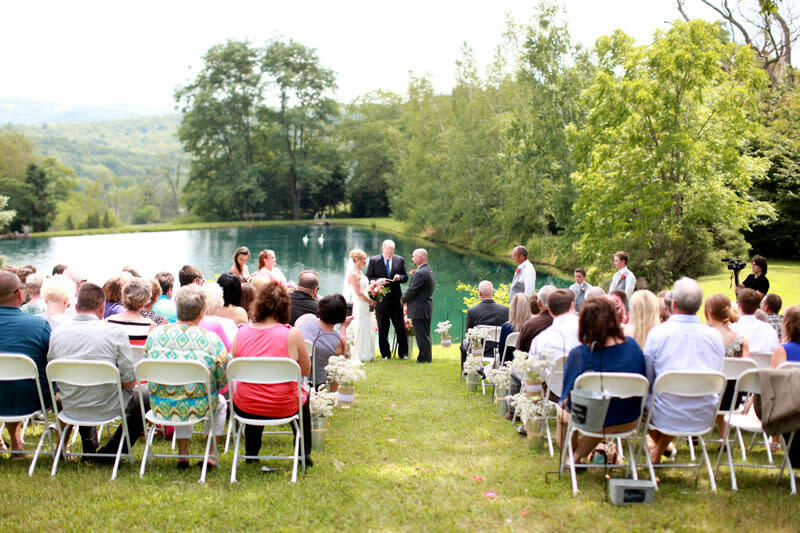 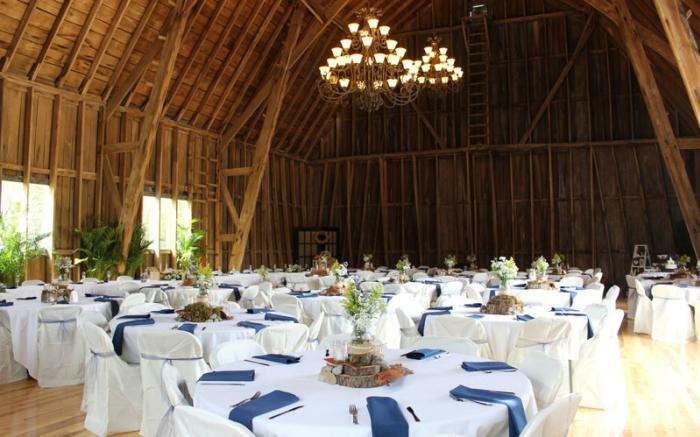 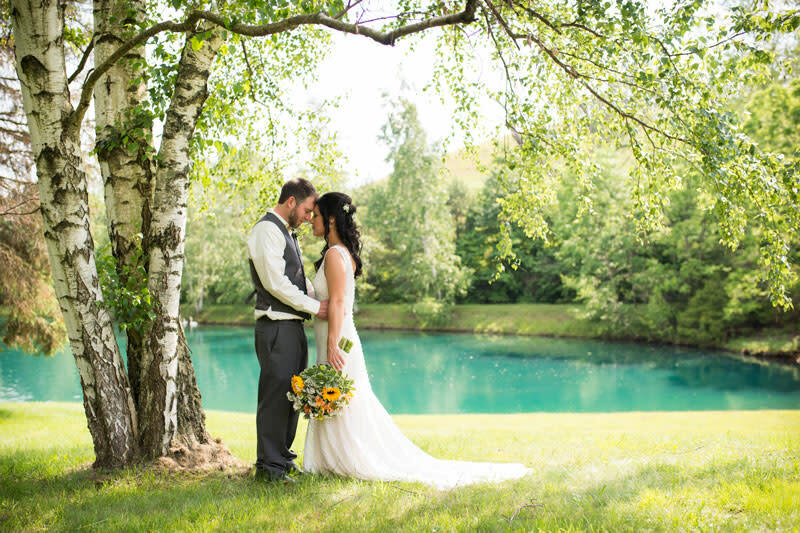 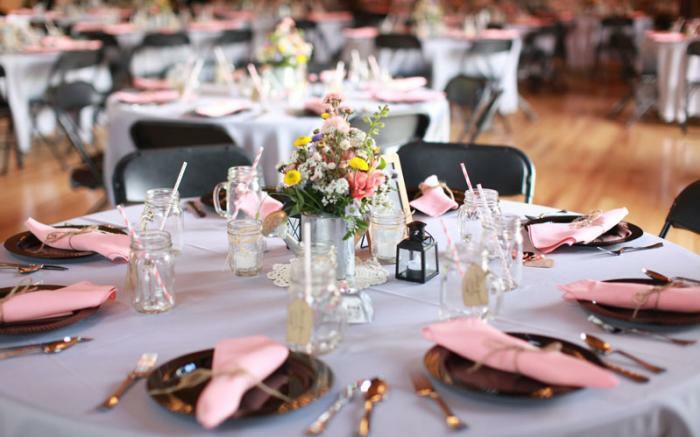 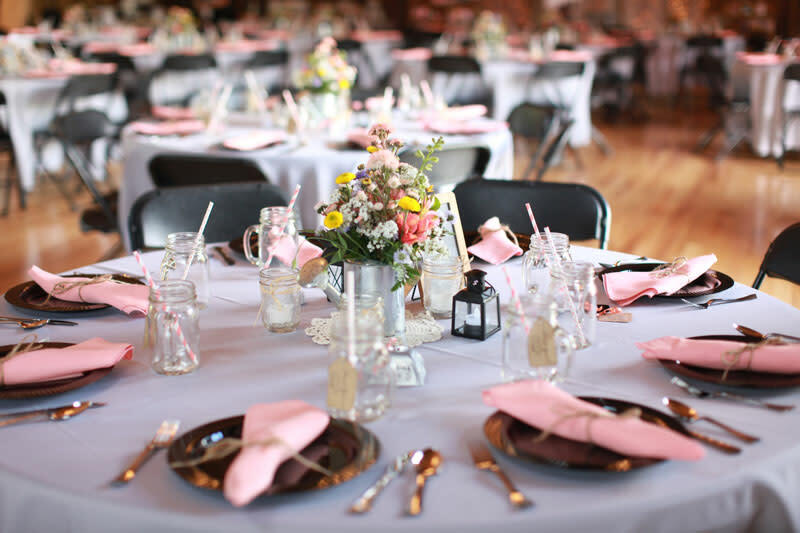 The Red Silo, located in Champion, Pennsylvania, is the perfect destination to hold your wedding or special gathering with family and friends. 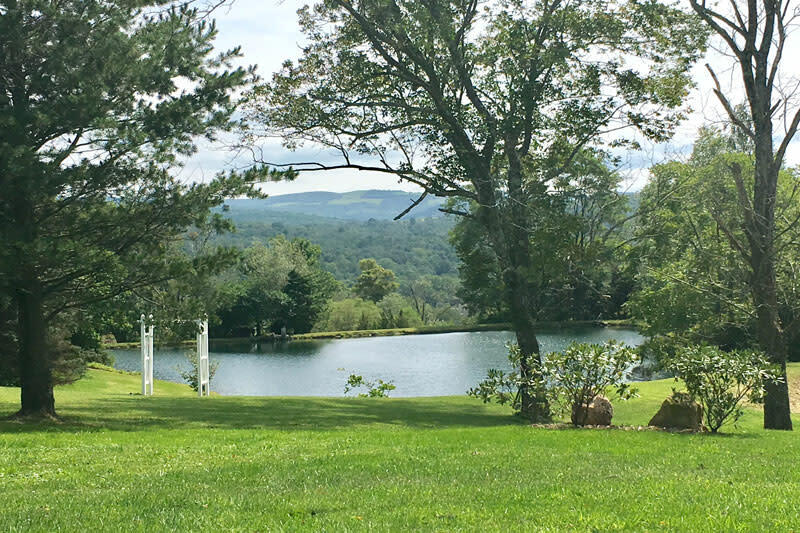 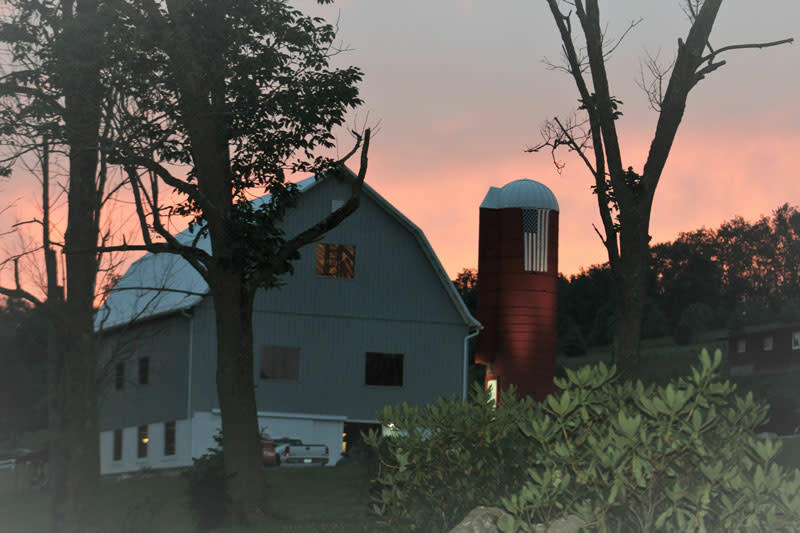 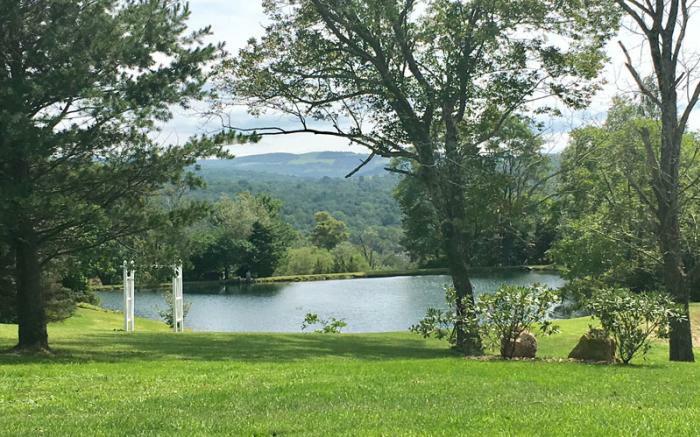 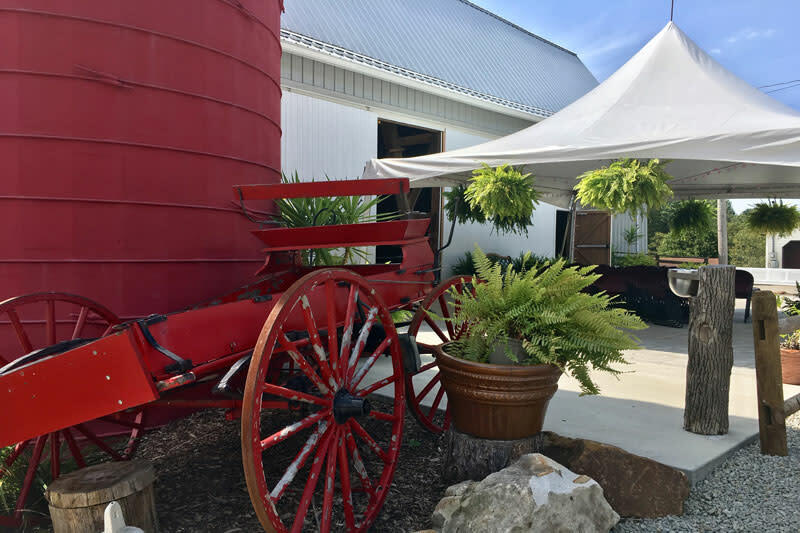 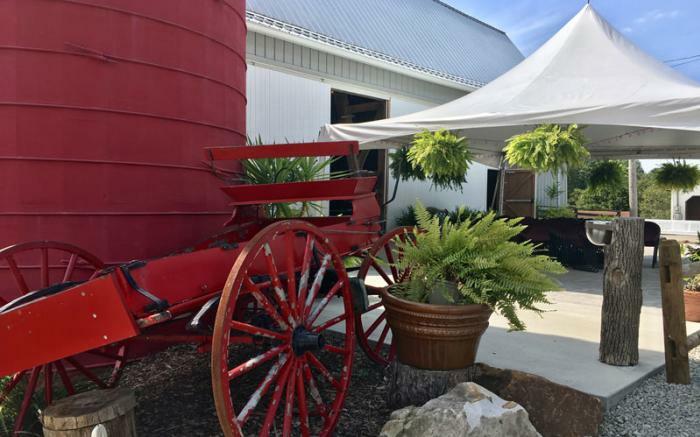 Its picturesque views of the Laurel Highlands, beautiful grounds, impeccable service and attention to every detail, you’ll understand why The Red Silo is the place to hold your next memorable event! 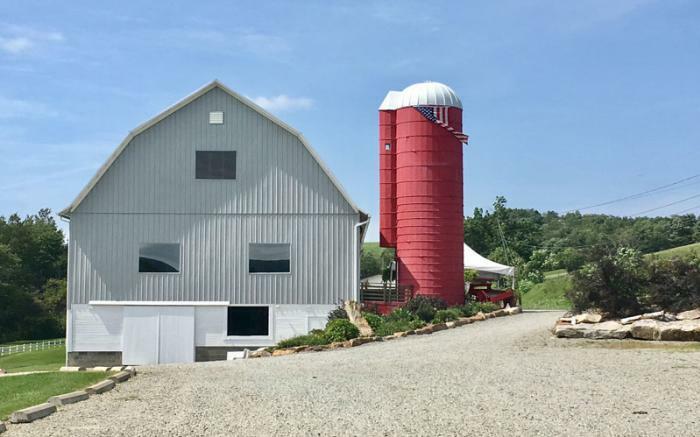 The Red Silo and barn were originally built in 1931 and completed restored in 2015. 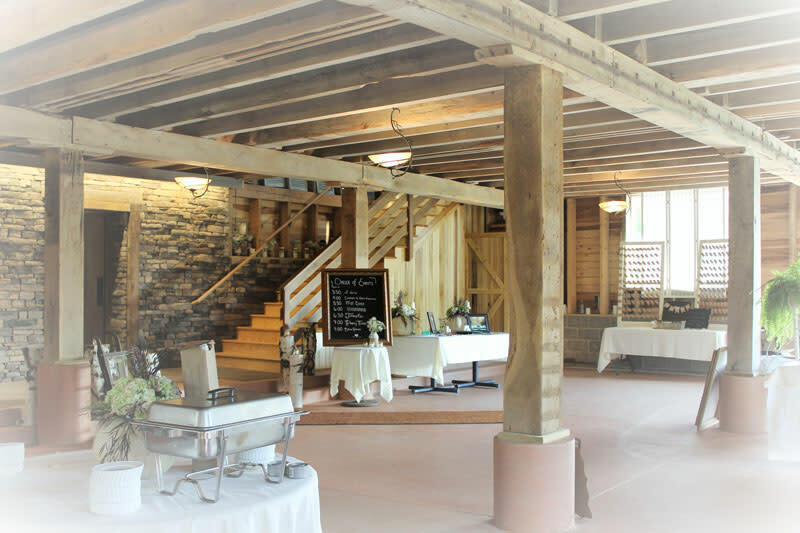 Modern amenities such as electricity, lighting and handicapped accessible restroom facilities were added during the restoration to make your wedding rustic yet elegant. 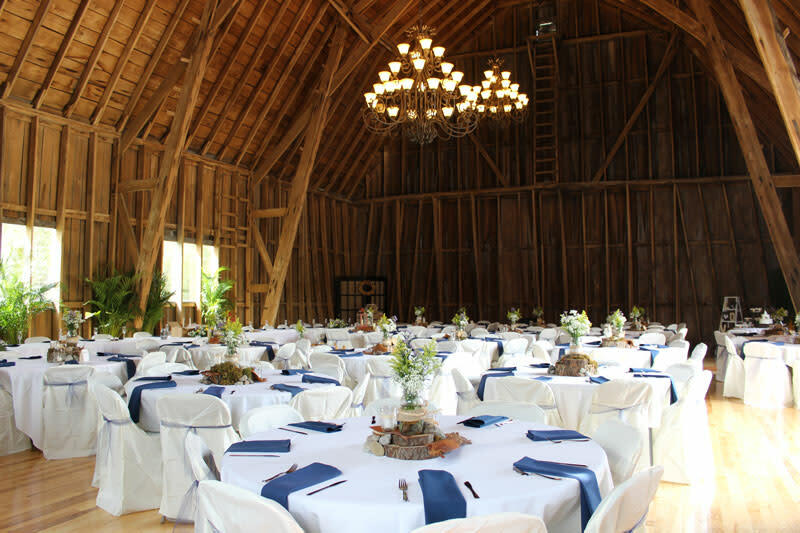 Maintaining its original design and materials, the upstairs ballroom boasts unique framing pattern that allows for a completely open floor plan. 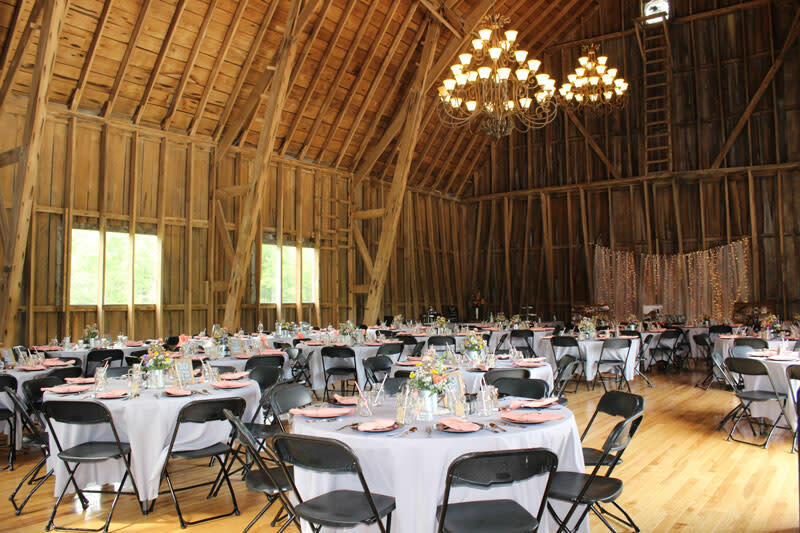 Three magnificent chandeliers light the 64x42 foot room and highlight the light, Ash hardwood floor. 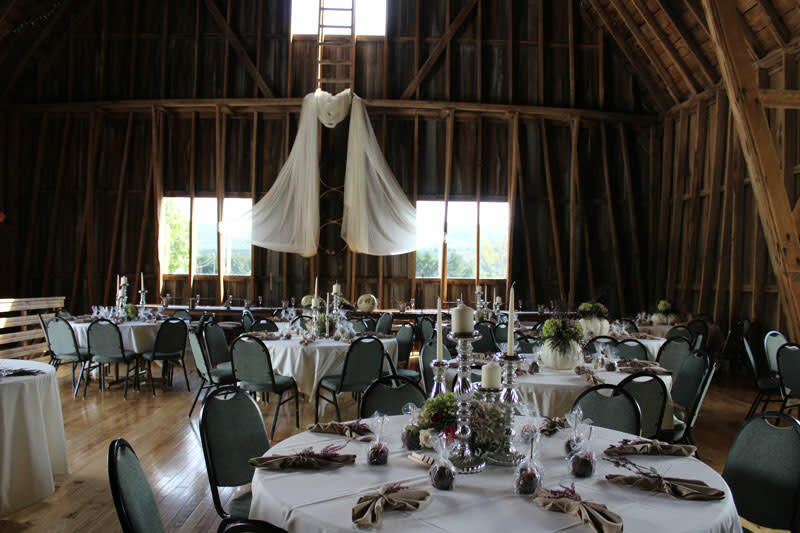 Double barn doors open to the outside and added windows allow for natural light for daytime events. Another unique feature is the charming bathroom that has been custom built inside the attached silo. 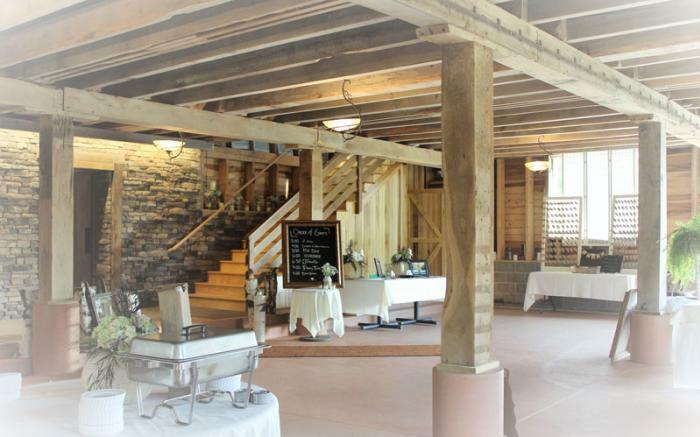 It makes for a large, private space for the bride as well as a thoughtful space for any handicapped guests.